Riding high with his first No. 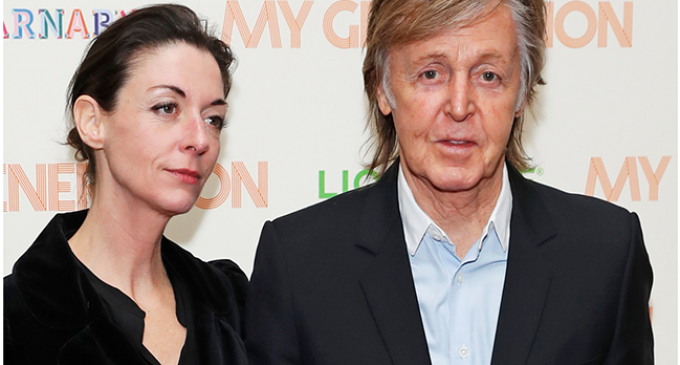 1 solo album since 1982, rocker Paul McCartney was spotted celebrating his daughter Mary McCartney’s new book “The White Horse” at a VIP dinner at the Mark. We hear that the former Beatle was meant to be on the road this week — but when his plans changed, he attended a dinner for Mary thrown by Izak and Sarah Senbahar, and Macca even insisted on picking up the tab for the swanky affair. 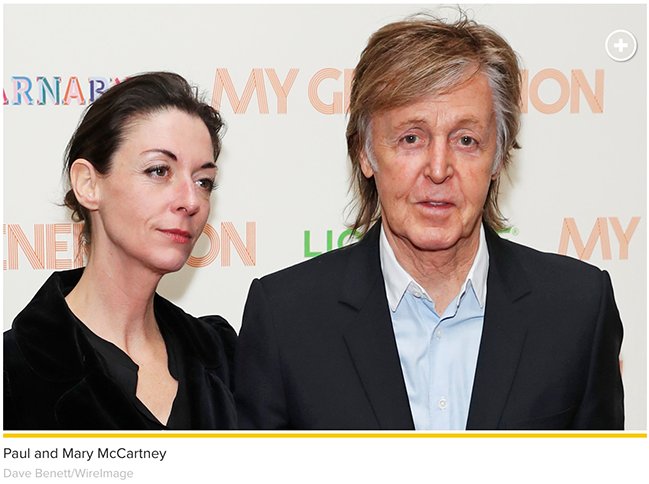 Guests included McCartney’s wife Nancy Shevell as well as many members of the Eastman clan from Linda McCartney’s side of the family. Earlier in the evening, Mary appeared at a book signing at Gagosian gallery’s Madison Avenue shop, where 100 copies flew off the shelves. Discovery boss David Zaslav was seen snapping up a horse-print blanket scarf that was designed by Mary, which he wore out of the shop. And famed rock promoter Ron Delsener picked out some of her silk scarves for his wife. “The White Horse” includes portraits of a white stallion called Alejandro in the English countryside. Paul’s solo album “Egypt Station” displaced Eminem’s latest release at No. 1.